Born in East Grand Rapids, MI and raised in Winnetka, IL, I was raised by a successful Realtor and have been associated with the Real Estate business since I was 6 years old! After attending New Trier High School and the University of Illinois, I moved to Florida and followed in my mother's footsteps! I began as a Property Manager and specialized in the rehabilitation of troubled apartment complexes. In 1991, I earned my Florida Real Estate license and quickly became a top producer of home sales. 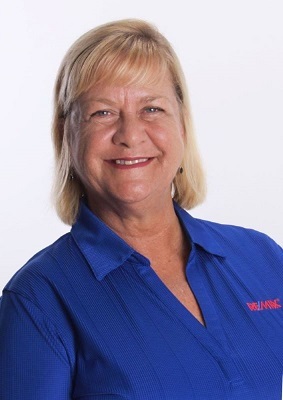 I have been a RE/MAX agent on both Florida coasts (Englewood & Fort Lauderdale) and owned Westside Properties for many years. In 2007, with a desire to raise our children in the Midwest, my husband and I relocated our family back to Illinois. Joining RE/MAX Suburban was an easy choice because with 8 offices and over 200 agents, we are the leaders in Real Estate! I have my National Association of Realtors SRES® (Senior Real Estate Specialist) and offer professional service, with a personal touch! Helping a client to buy or sell a home is an extremely important job and for those who have lived in their homes a long time, it may require additional expertise and support! I have a network of service professionals, including Organizers, Estate Sale companies, Movers, Landscapers, Cleaning companies, Maintenance Personnel, Elder Law & Real Estate Attorneys, Financial Planners and Senior Housing Specialists, who are available to help. As your Realtor, I would help you every step of the way! I credit my past successes with my genuine desire to help others, as well as my strong customer service, marketing, negotiation and communication skills. I truly understand what it takes to get to the finish line and would love the opportunity to help you with your Real Estate needs! When you need to buy or sell... be sure to call, Becky "L."!